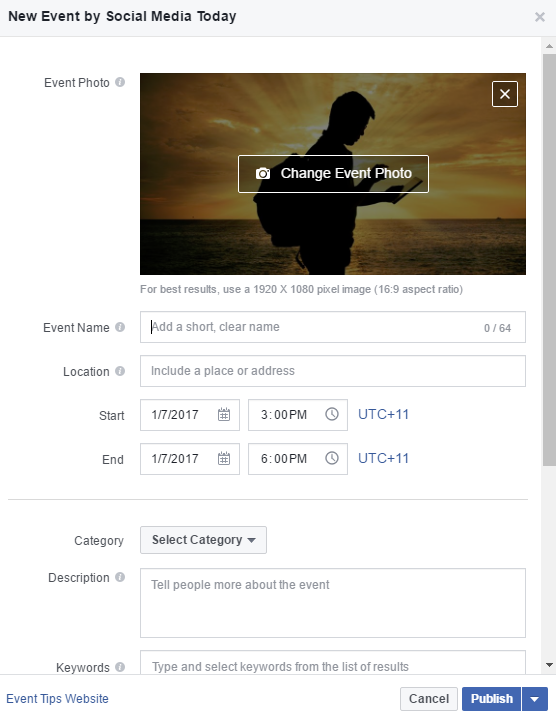 Recently Facebook's added a new Page posting options listing to help guide Facebook Page admins on the various outreach tools and functions available, making it easier to try out new tools. Once enabled in your region, when you log into your Page, you’ll see a new notification like this beneath the update window. To clarify, none of these tools are new, but not all Page admins would be aware of them, particularly more recent additions like Canvas and the re-vamped Offers (more below). Notice how the Carousel and Canvas units are offered here as native post options, not ads, which is interesting in itself. For a Canvas, you still have to build it through the normal channels, but when selected, you're immediately directed through, making it easier to understand how you go about it. Again, the function is not new, but it makes it much easier to create your own, which will no doubt boost take-up. 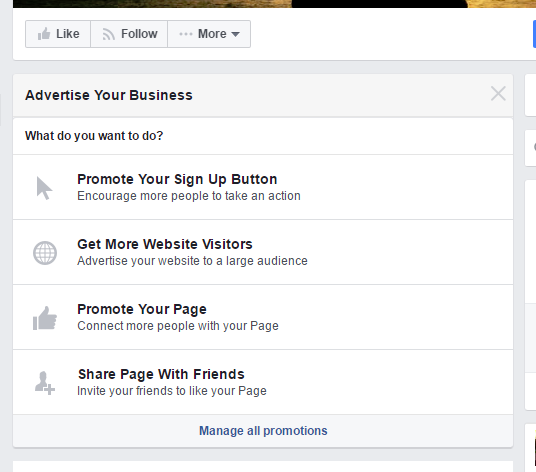 ‘Advertise your business’ brings up the various Facebook ad options in-stream, with a direct link to Ads Manager. While ‘Get Messages’ seems to bring up the normal update prompt (maybe not functional for all Pages as yet). 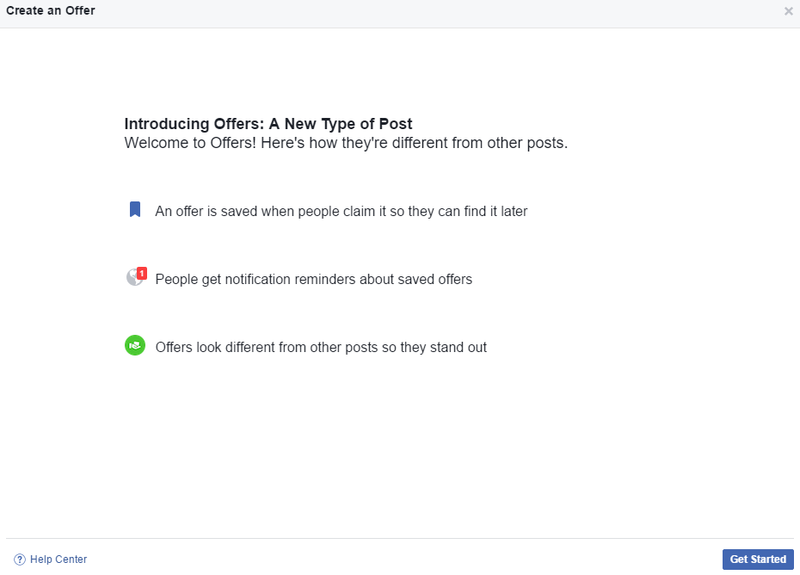 ‘Create an Offer’ brings up a new prompt highlighting the updated offers process. The updated Offers process was released in August last year, including enhanced options for claiming offers, a new save option to keep track of those you’re interested in and a reminder system that lets you know when offers are about to expire. 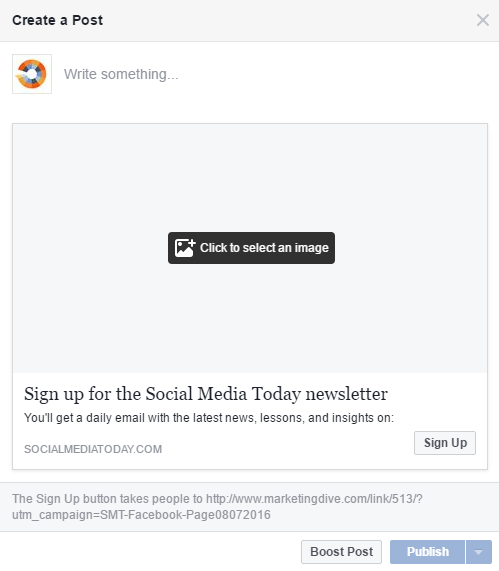 And ‘Write a Note’ opens up a Facebook notes blog post window. 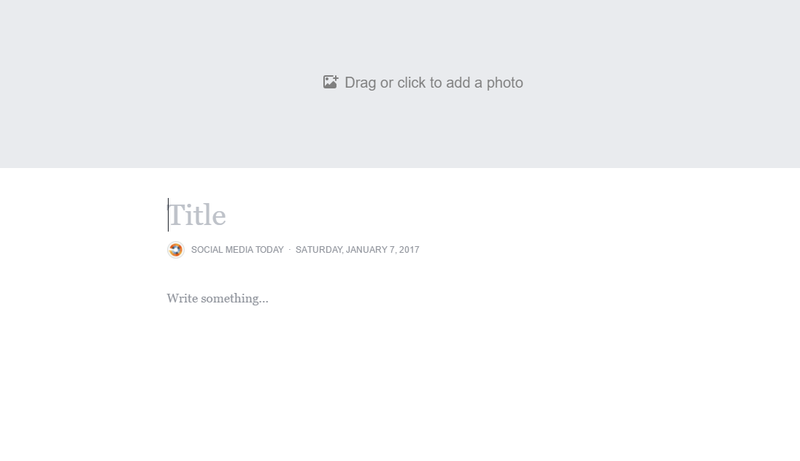 here’s also a ‘See all’ prompt at the bottom of the post options list, which suggests they may be looking to add more to the list in future. 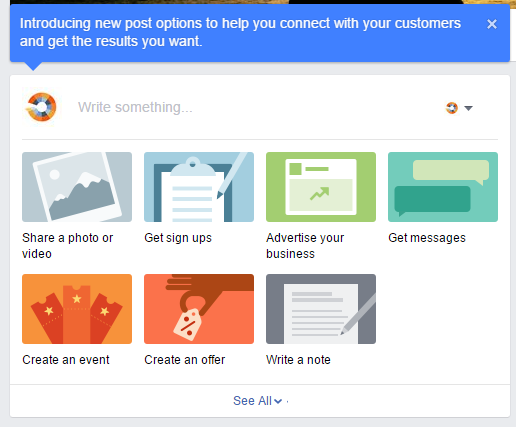 It’s an interesting move by Facebook, and one which could deliver significant benefits. While, as noted, there’s no new functionality being added, making the various tools easier to access, and raising awareness of them, could see Page owners considering their posting options more carefully, and testing out the new and updated processes. 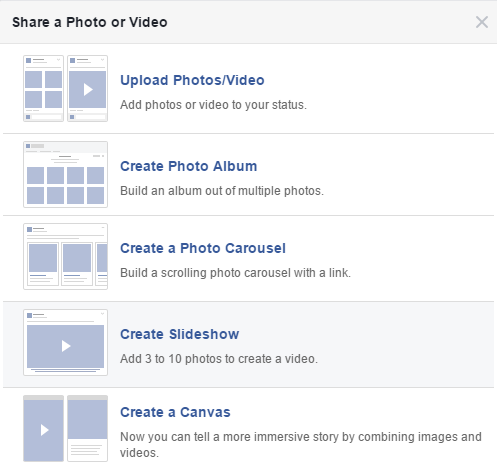 Given there are so many updates and changes at Facebook, it can be hard for Page owners to keep up. Maybe, by making them unavoidable, we’ll see more experimentation – and ideally for Facebook, more ad spend – as a result.